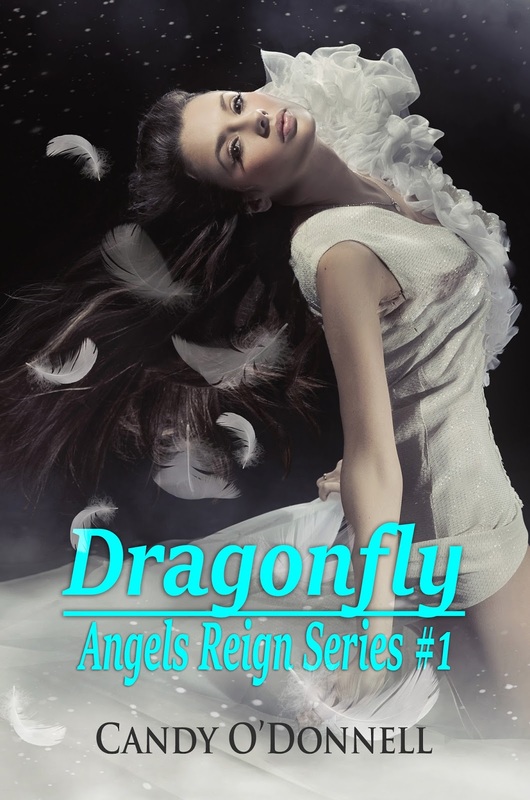 "Dragonfly: Angels Reign Series book I"
When evil takes over...Angels Reign! Lillian loses everything important in her life after the death of her Aunt Mir. After Mirâs passing, Lillian slowly inherited the womanâs angelic abilities. These new found talents become a beacon to the evil that is waiting to destroy her. After Lillian met a demon named Danal, she soon realized there was a new immortal evil hunting her, along with a horrid demon known as Vengeance. 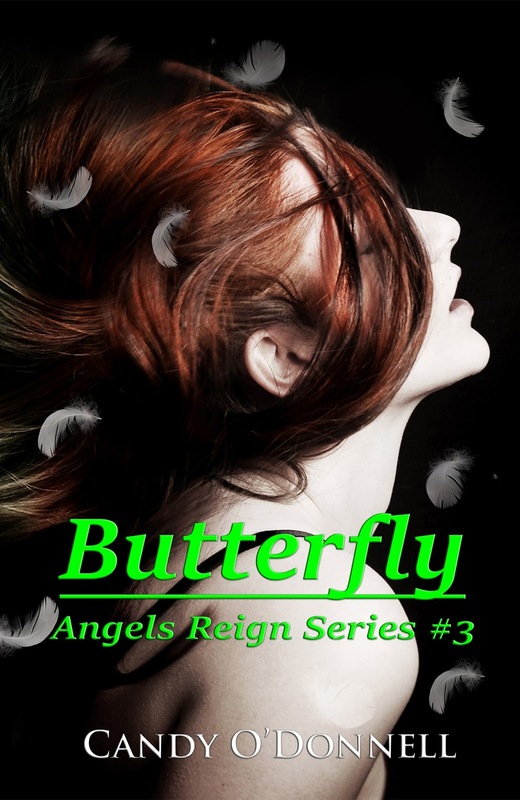 How will Lillian subscribe to what she has learned about the angelic realm and fight off the evil that wants her dead? 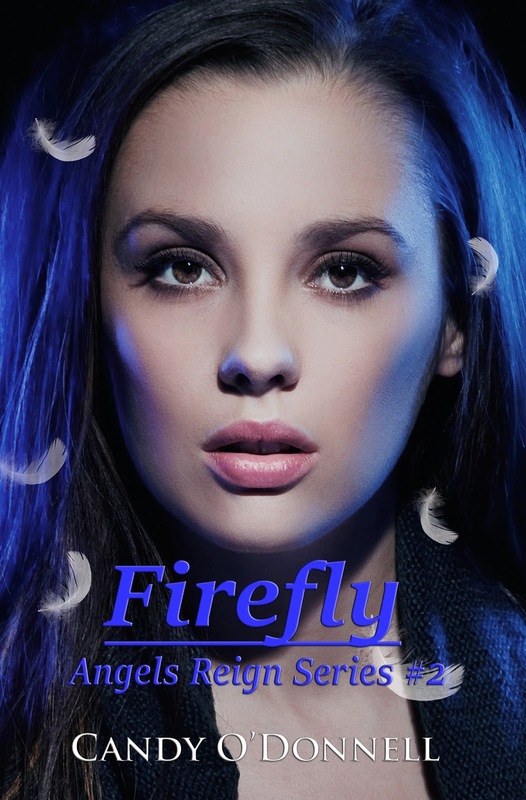 "Firefly: Angels Reign Series book II"
Angels donât belong in chainsâ¦they deserve freedom! Lillian discovers secret an entrance into the dark caverns of the underworld where she finds an angel imprisoned by the darkest demon known, the Demon of Vengeance. She walks through these dim tunnels and attempts to free this angelic being from her tomb. As she comes across Danal and his demon cohorts, Lillian makes a shocking discovery about him and who he really is. Will Lillian escape or become swallowed up by the demon realm forever? "Butterfly: Angels Reign Series book III"
Fight the demons and win the war for humanity! Lillian knows that a war is coming between the angels and demons. It will be bloody, but with Danal by her side, Lillian digs deeper and prepares for the upcoming siege. After losing a close friend, she runs into a new type of demon, the Abassy. They are unforgiving and consequently after her blood. With demons at every turn, Lillian must overcome what is approaching without sacrificing more angels. Can Lillian find the strength within herself to not only forgive, but come out victorious? Candy OâDonnell lives in California with her best friend and husband, Jim, and their two enthused teenagers. This family also includes two happy dogs, a languid cat and an energetic cockatiel. Today, Candy writes whatever story crops up in her imagination. She composes numerous genres as a way of expressing herself fluently. She writes Childrenâs / Fiction / Horror / Non-Fiction / Paranormal / Paranormal Romance / Romance / Short Stories / YA. Lillian bolted upright after the hellish nightmare infiltrated the deepest caverns of her mind. Fuzzy red and green images still played in her head as she shook off the heaviness of sleep. It was as though hell had poked its way through the secret, hidden hollows of her psyche. Her own thoughts slowly came to her as she raced through each scene that had strangled her will as she slept. She had not wished for these disturbing images before she fell asleep; they just dipped into her mind and nested within. Those real dreams that were supposed to be non-real were not what she wanted to play out before her. Dreams were supposed to be happy, glorious things, not something made of nightmares. She crooked her head to the right and noticed that her bedroom door was ajar and something with a human form was standing in the hallway. The image was not complete, but murky white, as if whatever was standing there was completely shrouded in a misty alabaster substance and was barely visible. This shadowy human figure still clung to the outside her vision, moving slowly to the right then to the left, as if dancing. The fog of sleep still cloaked her senses when she forced her hands and arms to move. Lillian wiped her frosty-colored eyes briskly with her hand to gain a better view of who was standing in the open doorway. She still could not see the person clearly. The form and its surroundings were hazy and seemed to move wildly, like a pond after a hand gently touched its surface. Lillian shook her head, but the figure still appeared smoky to Lillian and she blinked many times to clear her eyes of drowsiness. The image was finally static and she was able to perceive what was before her. A faint vapor of a middle-aged woman stood silently near the entrance of her room. The womanâs form seemed to become clearer with each passing second, but Lillian still did not recognize her, as the frame rippled like a fun house mirror. When the womanâs mouth opened to speak, no sound escaped. It was then that the off-white form of the woman glided into the room and came closer to Lillian, gazing at her as she moved. Fright gripped Lillian in its tight grip, and she could not stop staring at this woman as her image became more human. This female had light-blue eyes and black hair that snaked down toward her waist. Her ruffled russet shirt was tucked into a red and blue striped skirt that hung down to her ankles. As the womanâs outline began to fade from Lillianâs eyes, she noticed that a brown piece of linen cloth held her long straight hair in place. Lillian held in a scream when the room suddenly teamed with golden streams of light. Each brilliant ribbon set the tone for morning as the sun rose above the mountains in the distance. It was a new day, and the sudden radiance lit the room before she could remove her hand from her open mouth. Was the woman a dream or merely a mind game? She knew now who the figure was. Mir had come back for a visit. When Lillian glanced around her room, there was nothing to be frightened of. The bright yellow walls seemed to smile down at her, and the closet door was still shut as the alarm sounded from her cell phone. Its high pitched tone startled her. She shook her head from side to side before she reached out to take hold of the buzzing instrument. After halting its incessant noise Lillian discovered that Unknown had called her during the night, again. This was the third night in a row. Inside she wondered who was so persistent to call each and every night for three nights. What did they want and why? Maybe it was a wrong number and they could not remember the correct one each time. Whatever the case, Lillian panned through her thoughts to come up with a good explanation. The thought of a mysterious stranger contacting her at such a late hour inundated her with many unanswered questions. Was it perhaps a friend calling to tell her good night? Or someone attempting to make contact with a long lost love that they hoped to find after many long months? She could only surmise. Lillian slipped the phone back to its place on the nightstand, then smoothed the ruffled leafgreen bed sheets near her waist. A fluttering sound reached her ears, and seemed to be coming from the window casement. Thoughts of the unknown caller vanished when she twisted her head in the direction of the window and caught sight of a dragonflyâs translucent wings gently moving up and down just outside the glass pane. Small dark veins raced in every direction within each annex. The small wings pumped the air surrounding its elongated body, keeping it aloft. Each rotating section worked simultaneously to keep the insect airborne and allowed it to gyrate to and fro. Lillian noticed that the body of the dragonfly was a rosy angelic color, with a string of charcoal hue wavering through. The magnificent being seemed to stop time for what seemed like many long minutes. Everything else halted too, even her breath, as she concentrated on what the tiny being wanted. It hovered on the other side of the glass and seemed to send her unheard messages. Lillian blinked once during the entire event. After observing the delicate being, the horrific dream shot into her now pleasant thoughts. This being had been with her during every frightening moment sheâd endured in her dream state. Its exact color and shape was her guardian along the dark passageway she had crept throughâor crawled throughâas she slept. She was on her way to her auntâs room as she astral traveledâthis was something she did often. But the hallway was made of hardened brown rock and was not easily maneuverable. Every step was treacherous to her bare feet. The walls had been covered in wet, dirty, olive green vines that clung to every door frame and emitted the distinct impression that they might attack any intruder passing their way. It was as though a forbidden forest had suddenly grown over the existing white painted surfaces and taken over the cherry hardwood floors beneath her feet. Lillian recalled having to call out her auntâs name, only to hear nothing in return. Sadness weighed heavily upon her shoulders when a new memory dropped into her head. My aunt is dead. She wished with all her heart that it wasnât true. As she observed the tiny body of the dragonfly, it shifted slowly toward the pane of glass, as if wanting to capture her attention. The being then delicately encircled each pane with ease and grace. Its beauty slowly overcame Lillianâs negative thoughts and transmuted them into more pleasant contemplations. As the dragonfly drifted near the window casement, it was looking in her direction, as if sensing her inner personal struggle. Lillian felt like a rope had tightened its grip upon her body and refused to free her. She assumed the tiny creature was there to watch over her and ensure her emotional safety. But maybe that was merely what she wanted. What an incredible thing to haveâa dragonfly as a guardian. The thought of the shadowy figure was temporarily forgotten, and so were the horrific events of the nightmare. The dragonflyâs wings took it from the window as it curved up toward the tree near the house, then disappeared among the green and brown leaves. Lillian felt a wave of sadness drape her when the divine being withdrew from view. This brought on a sudden swell of melancholy that had been lingering within her heart. Lillianâs body shook at the insectâs disappearance, and she brought her hands to her face and cried.